You may have the greatest new product since sliced bread, but existing online is simply not enough to be found. No matter how unique your company is or stylishly your website is designed, if you haven’t carefully considered the navigation, written content to attract your target market and implemented search engine friendly coding, your website may as well be a pebble at the bottom of the ocean; no one will ever find it. Search engine optimization truly must begin with the planning of website. It can take much longer to achieve keyword rankings and be costlier implementing the fixes after the website has been completed. Often, e-commerce platforms are not built with SEO in mind and something as simple as adding meta data to the page header becomes a cumbersome and costly task. Today, Google is smarter and does a better job of interpreting the written language; you’ll want to write for people not bots. On the other hand, sometimes an optimized page can be awkward sounding and not truly reflect the message your brand wants to convey. Yet, there is still a happy medium. Most small businesses want to display their services, an about page and a contact page. If creating optimized content targeting keywords in your industry would distract from the look and feel of your business website, there are other ways to handle the dilemma through navigation design. Most people don’t scroll down and analyze your footer unless they can’t find the information they are looking for. However, the footer comes in very handy for linking to pages that are important for search, but you don’t want distracting from the website’s professional presentation. In the event you cannot weave your target terms into pages naturally, the footer will give optimized pages link juice from every page on the website, just as the top navigation would. If you foresee your footer growing immense, then link to a category page designed for these articles. Design is important and does impact the visitor’s impression of your business, but when considering your all-important keyword optimized pages, be sure not to sacrifice content in the quest for a cool looking design. Some database driven websites are not the friendliest to the search engines. When code is rendered in java, links are not crawlable. If the search engines can’t crawl the links from your home page, they won’t find the content further down. 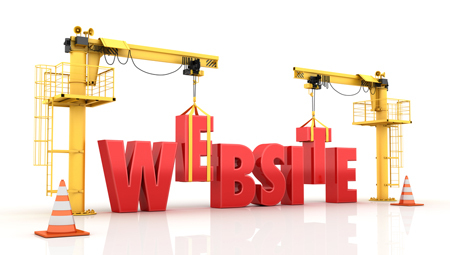 While the home page is the front door to your business, it is not the only way visitors enter your website. When it comes to search, every page is a doorway and each page can attract visitors with different keyword phrases. Many of the issues that hinder a website from performing well in search have to do with redirects. Temporary redirects, otherwise known as 302s, tell the search engines that you don’t want to credit the destination page for the traffic and incoming links. Sometimes people remove pages and create multiple redirects, sending the search engines in redirect loops. These make the search engines “dizzy” and will hinder your website from success in the search results. There are many different considerations in page design, content creation and coding; however, they are always easier to manage when you create a website building strategy that considers all three before the work begins. The programmer may have his opinion and the designer another. The SEO specialist brings them together in a way that makes Google love your design, text and, ultimately, your business.